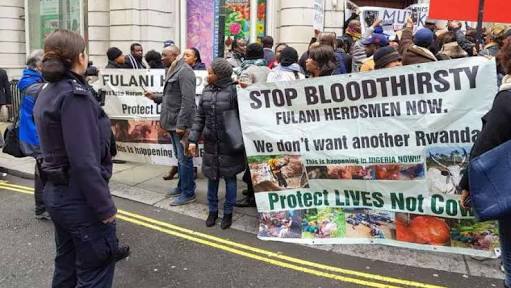 Many Nigerians living in London yesterday openly protested against President Muhammadu Buhari and his style of governance. The protesters stormed the Abuja House in Kensington London, where the President is staying, blaming him for the nation’s trouble. The protesters said they would take their action to the venue of the Commonwealth Heads of Government Meeting (CHOGM) next week, which the President will attend. The protesters were said to have accused the President of not addressing the herdsmen-farmers attack, and not doing anything about the citizens’ welfare. Reacting, the President’s Senior Special Assistant (SSA) on Media and Publicity, Garba Shehu, said his boss won’t be distracted from his mission in London.